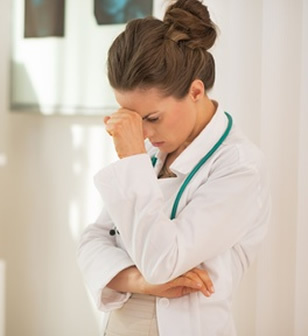 Are competing demands getting in the way of your calling as a physician? You are a successful academic physician who makes a real difference in your work. However, you often struggle to keep Professional distractions and demands from crowding out the work and people that are higher priorities. Your inbox overflows with compliance requirements and request to complete surveys, write letters , interview applicants and attend meetings. How can you make it all work without so much stress? You want to stay aligned with your calling as you experience more career academic success. You want to advance in your career and stay connected with the purpose of why you became a doctor. Ultimately, you want to maintain your passion for medicine, develop a thriving team, and find balance among all your priorities. It's an individual coaching program tailored to your specific needs as an academic physician growing into positions of increasing responsibility, leadership and influence. It gives you tools and practices to align your daily choices with high-value activities. The Physician Leadership, Vitality and Resilience Program gets you and your team connected to a vision you share for addressing meaningful needs and values and accomplishing your most important goals. 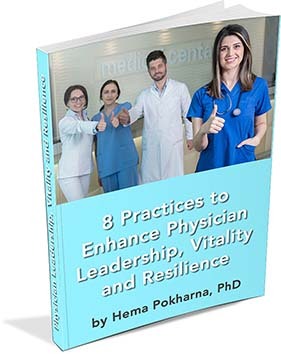 "8 Practices to Enhance Physician Leadership, Resilience and Vitality"